Sandy toes, salty air and tasty ice cream ─ it’s summertime and the masses are migrating to the South African shore. 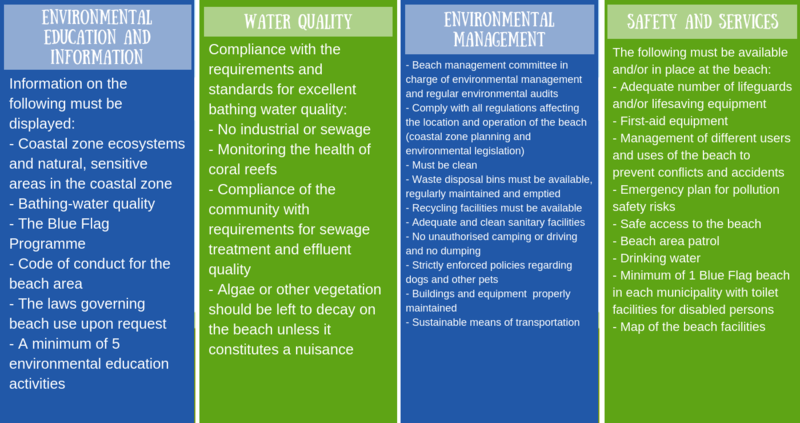 But do you know why Blue Flags are planted at some of the beaches we all frequent? The Wildlife and Environment Society of South Africa yearly awards Blue Flag status to beaches according to different criteria and this season 66 Blue Flags will be flown at 46 beaches, eight marinas and 12 sustainable tourism boats on our unique coast. TravelGround has located the list ─ find out if a Blue Flag will be flapping in the breeze at your favourite holiday destination! Besides being the only province with both the Atlantic and Indian Ocean at its shores, the Western Cape also has the most Blue Flags blowing at 30 beaches, 12 boats and seven marinas. 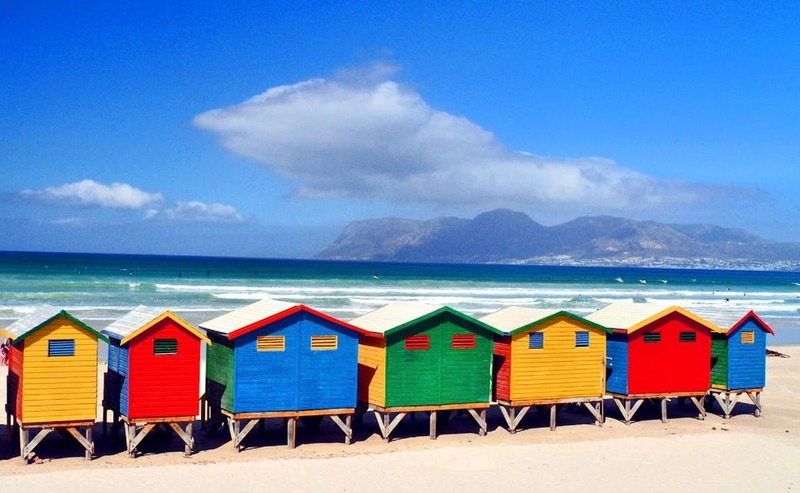 The popular Muizenberg beach is a surfer’s paradise and renowned for the row of rainbow-coloured changing rooms set along its sandy shores. 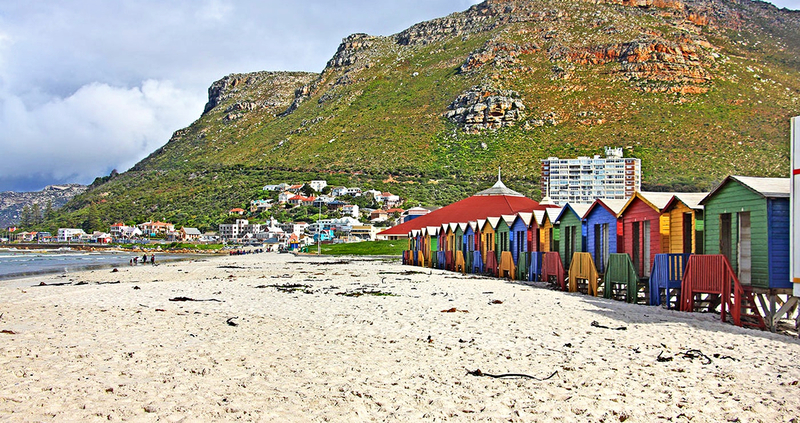 During the holiday season, the beach is packed to the brim with a kaleidoscope of colourful umbrellas, and surfers and swimmers can’t resist the False Bay waves. With supertubes and mini-golf nearby, this is the perfect spot for a family day out! 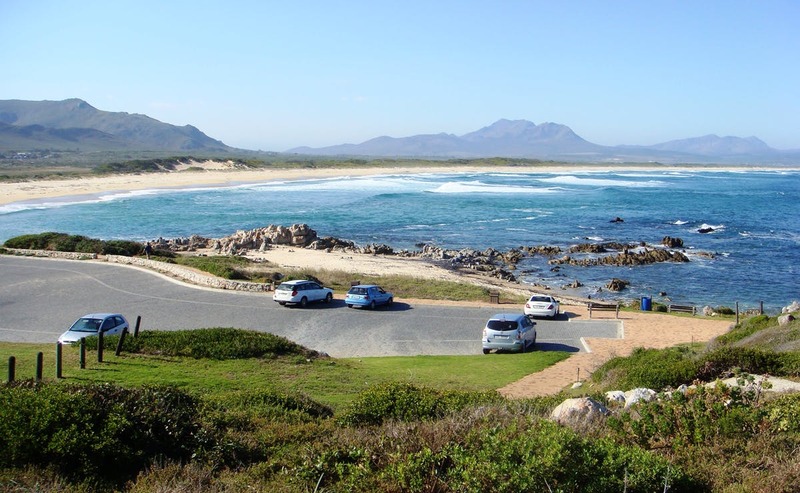 You’ll find this beach next to the lagoon in the coastal village of Kleinmond near Hermanus. The cliff paths and quiet streets are ideal for long walks with your furry friends and joggers frequent the beach at dusk. The giants of the deep roam these shores during whale season, and if you’re lucky, you’ll spot a few. The powdery white sand makes for creative sandcastle building among young and old and when the summer sun rears its scorching head, a dip in the lagoon is all you need. Set about an hour’s drive from the Mother City on a scenic road, this laid-back town should surely be on your summer bucket list! 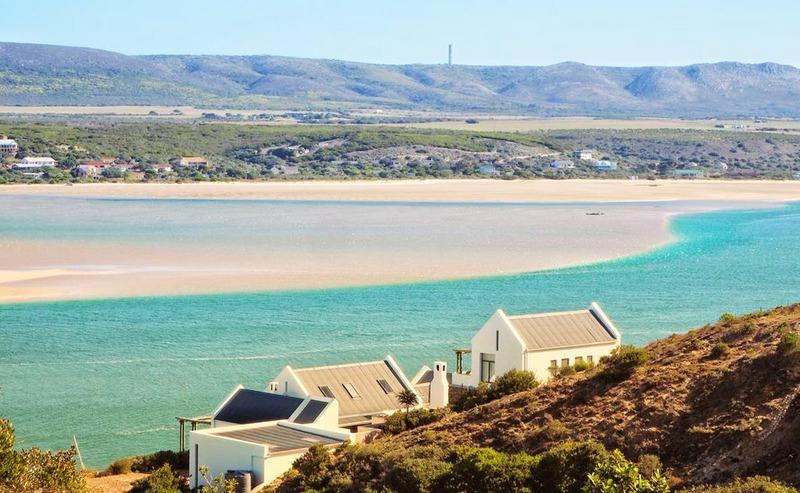 With four kilometres of bone-white sand and rock pools inhabited by stranded marine life at low tide, Witsand has one of the most striking beaches in the world. However, this is not one of those jam-packed beaches and the town has a mysterious feel to it during the year. Witsand’s dunes consist of all shapes and sizes which create a curious rumble when the wind blows through. In season, schools of Southern Right whales can be seen bobbing their fins near the coast as this area serves as their nursery. Being near the mouth of the Breede River, a lagoon and the ocean, paddling, boating and swimming are just some of the water sports that will provide you and the youngsters with endless fun-filled hours! The Garden Route has no shortage of mentionable beaches and the beach at Buffalo Bay is no exception! It’s found at the Goukamma Nature Reserve and known for the highest vegetated dunes in the world, coastal fynbos and coastal forest. Snorkelling, surfing, fishing, canoeing, swimming and dolphin watching are among the many popular pastimes at this shore. But you should also take the time to discover some of the surrounding areas’ best kept secrets ─ keep your camera ready! 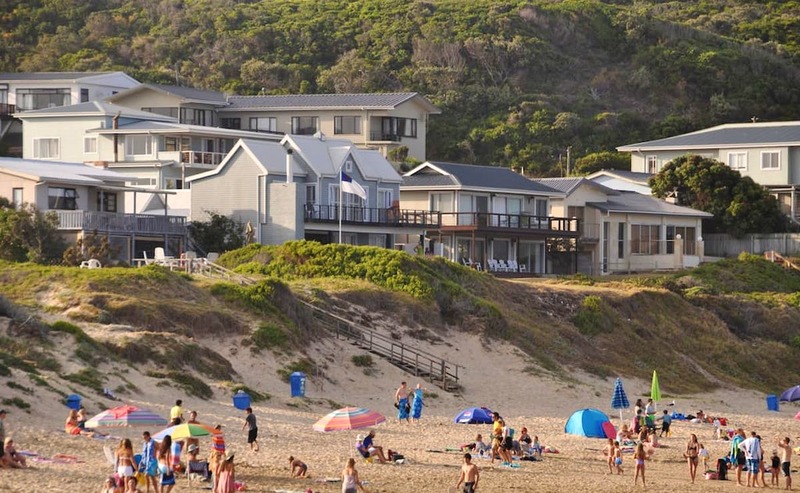 The warm waters of the Eastern Cape boast seven Blue Flag beaches and one marina. With at least six sublime surf spots, Jeffrey’s Bay is a surfing mecca luring surfers from all across the globe. 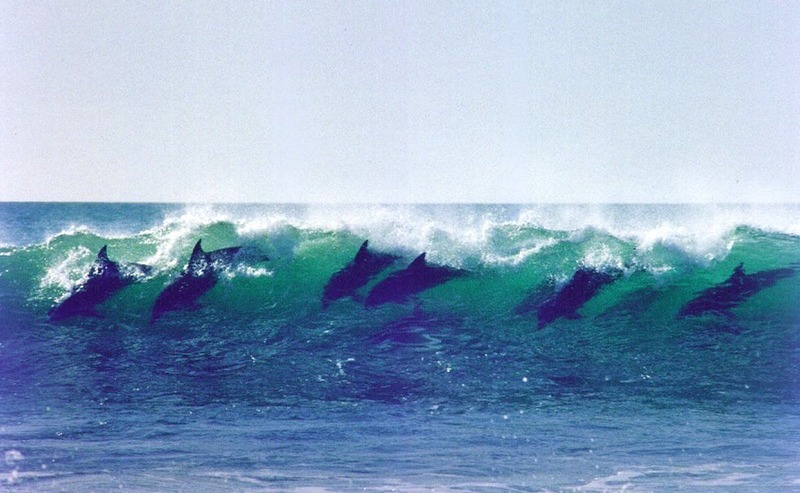 Dolphin Beach is the main beach in town and you’ll definitely be entertained by dolphins frolicking the waters all year round. This family-friendly beach offers loads of fun activities during the holidays, such as mini-golf, treasure hunting and live music. Situated less than an hour’s drive from Port Elizabeth, Addo Elephant National Park and Tsitsikamma, the shell-filled shores of J’Bay deserves a proper visit this December! 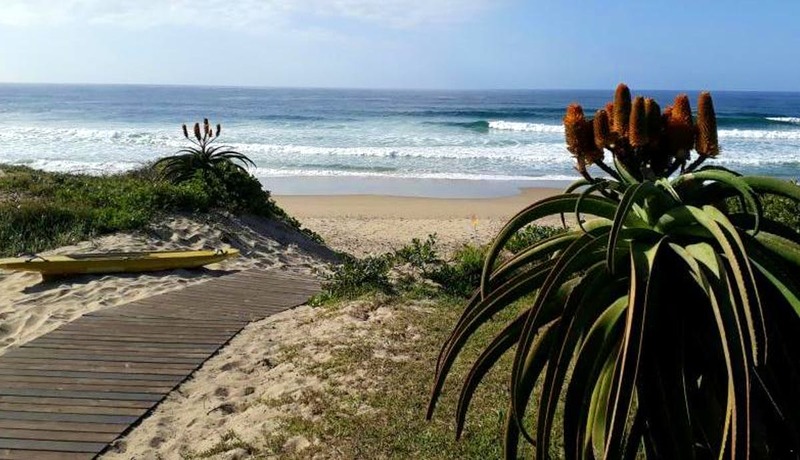 Located on the outskirts of the Friendly City, Humewood Beach is South Africa’s oldest Blue Flag beach offering facilities for guests with disabilities. The beach boasts golden sands, grassy areas, coastal walkways, swimming pools, a promenade and rock pools. It’s also within walking distance to numerous shops and restaurants. So, if it’s the city you crave or on a beach you belong, at Humewood Beach you’ll have the best of both worlds! The mesmerising waters of Kelly’s Beach lies in the heart of Port Alfred and bodyboarders, surfers and children often grace these warm waves. The beach is wheelchair friendly and families love spending some quality time picnicing on this pristine Sunshine Coast beach ─ calling all beach bums! 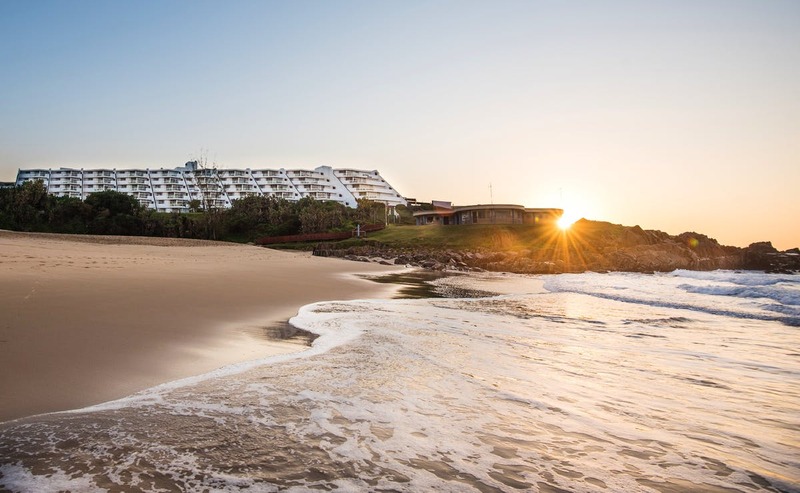 Seeing as KwaZulu-Natal is South Africa’s subtropical hub with the summer sun glistening all year long, this province is bound to have some alluring beaches and has been awarded nine Blue Flags! This secluded coastal cove close to the Mpanjati Nature Reserve has lifeguards on duty throughout the year and the warm waters are very enticing to swimmers. This beach isn’t near any other facilities and a picnic basket, sunscreen, books and beach balls will come in handy when spending a lazy day on Trafalgar Beach. Margate is definitely a South Coast favourite when it comes to seaside getaways and visitors come from far and wide to dip their toes in its toasty tides. Lucien Beach is less crowded than the rest of this town’s beaches, though it does fill up over Easter and the festive season. The adjacent tidal pool is ideal for little ones, and dolphins and whales tend to make their appearance during season ─ make sure you don’t miss them! With its safe swim spots, soft sand for sandcastle building, shady picnic areas and sightings of whales and dolphins, Southport Beach will captivate the whole family. Deep-sea fishing, diving and snorkeling are also high on the popularity list and don’t forget about the many ice-cream shops in the vicinity! * Click here for a list of all the Blue Flag beaches. Basking in the bliss at a Blue Flag beach will surely leave the entire family spellbound. So, visit these beaches this summer for some much-needed fun under the African sun!